Summary from Goodreads: West Hall, Vermont, has always been a town of strange disappearances and old legends. The most mysterious is that of Sara Harrison Shea, who, in 1908, was found dead in the field behind her house just months after the tragic death of her daughter, Gertie. Now, in present day, nineteen-year-old Ruthie lives in Sara's farmhouse with her mother, Alice, and her younger sister, Fawn. Alice has always insisted that they live off the grid, a decision that suddenly proves perilous when Ruthie wakes up one morning to find that Alice has vanished without a trace. Searching for clues, she is startled to find a copy of Sara Harrison Shea's diary hidden beneath the floorboards of her mother's bedroom. As Ruthie gets sucked deeper into the mystery of Sara's fate, she discovers that she's not the only person who's desperately looking for someone that they've lost. But she may be the only one who can stop history from repeating itself. Review: This book was creepy. I'm not one to normally read a creepy book but I found that I couldn't put this one down. It had a balance of creep and back story. 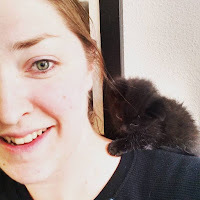 I was enthralled in the world of Sara Harrison Shea and her truly tragic life. I cried when I heard her story. 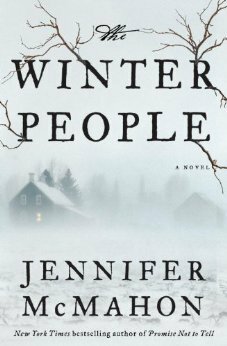 If you like creepy paranormal thrillers, then you will love The Winter People by Jennifer McMahon. Four stars.